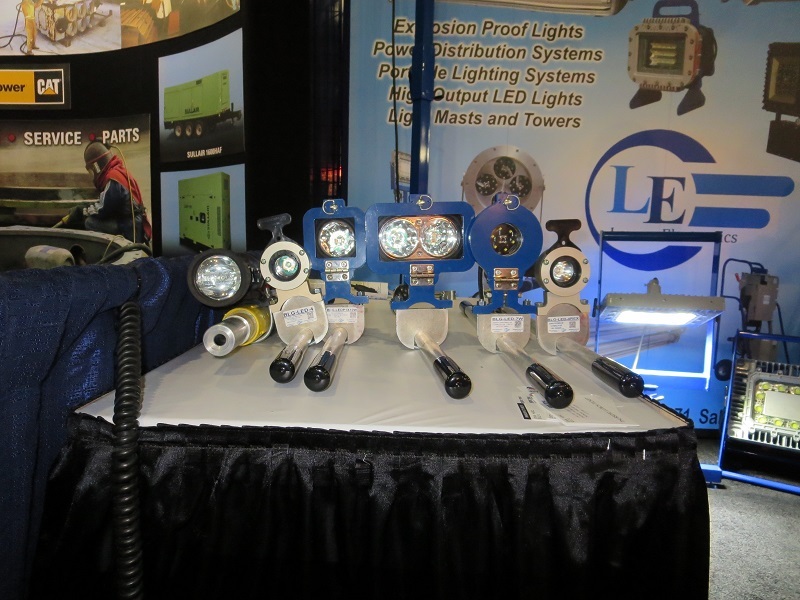 The Larson Electronics BLG-LEDP1X10W-200 Work Area LED Blasting Gun Light has a 10 watt LED that produces 860 lumens of intense LED illumination and is designed for extreme durability in media blasting applications. This powerful LED light is designed to be mounted to any standard blasting gun (Blasting Gun NOT Included with this LED light). This LED blasting gun light features a specially designed mounting system which allows the unit to be attached to the end of any standard blasting gun. This mount includes all neccessary mounting hardware and a protective lens cover that can be removed and replaced even when wearing gloves. This protective lens is a simple slide in, slide out configuration behind a hinged lens frame, allowing operators to pull the lens out and slide a new one in as the lens is worn out by exposure to blasting materials such as coal slag, sand and baking soda. This lens is constructed of hardened glass for durability and is held in place by a spring loaded fastener. A slot in the bottom of the lens holder allows particles to clear when performing lens changes. This light operates on 24V DC, and is equipped with 200` of cable terminated in a 120-277V AC encapsulated transformer. A specially designed mounting system and quick change protective shield allows operators to use this unit as a blasting gun mounted light source that will stand up to abusive use. The protective lens is offered in polycarbonate or hardened glass materials. The polycarbonate lenses are for metal blast materials, while the glass lenses are for smaller abrasives. 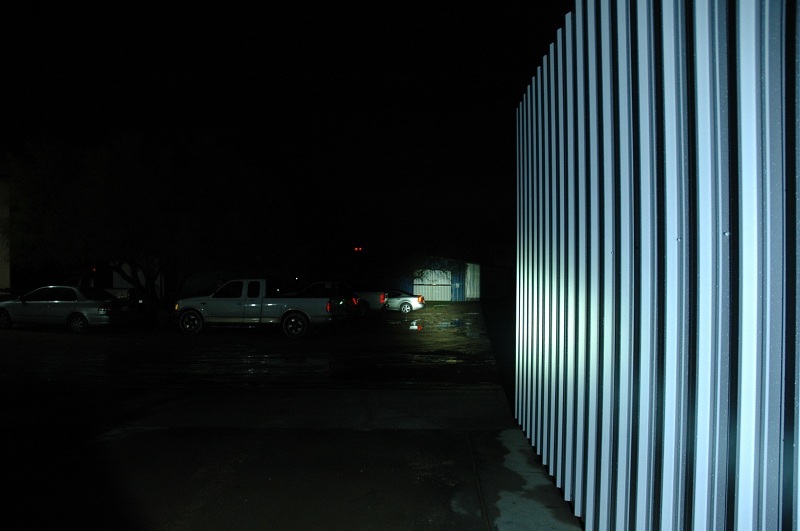 This photo shows an open parking lot lit only by ambient light at approximately 9:00 pm`. This photo shows the BLG-LEDP1X10W-200RE in spot configuration. 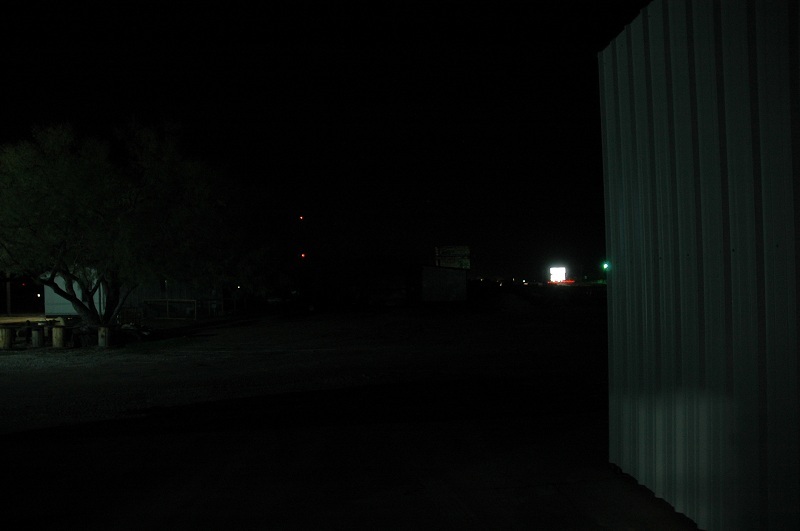 The building in the distance is 300` away, well illuminated by the LED spotlight. Power for this blasting light is provided by 120-277 Volt AC inline transformer, stepped down to 24 Volt DC. The high intensity LED in this light produces 860 lumens, produces a beam over 600ft in length, and has a lifetime of 50,000 hours. This unit is IP68 watertight and able to withstand the rigors of aggressive and heavy duty use applications. Compared to typical gun mounted blasting lights, this compact LED unit is light weight and produces much brighter and intense illumination than comparable incandescent lights.